It appears Israel has paid a huge price for last week’s attack on Syria which led to the accidental “friendly” fire downing of a Russian reconnaissance plane with 15 personnel on board as the door could now be forever shut on striking targets in Syria with impunity. 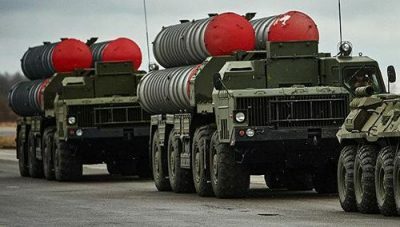 The Russian Ministry of Defense (MoD) has announced plans to deliver its advanced S-300 air defense system to Damascus within two weeks. Prior plans to deliver the system, which is considered vastly more effective and can strike at a greater range than Syria’s current S-200 and others, were nixed after Israeli threats that delivery would constitute a “red line” for which Israel must act. Significantly, Syria’s systems will be integrated with Russian systems via the S-300, in order to prevent instances of “blind” firing (or failure to have friend or foe identification capabilities). “Most importantly, we will guarantee the identification of all Russian aircrafts by the Syrian air defense systems,” according to TASS. The Russian-made S-300s are widely acknowledged to be far superior in their capability and reach than Syria’s current S-200 system. If installed — something which Russia has promised will happen in two weeks time — Syria might very well become nearly untouchable. All of this is precisely the game-changer that Israel’s leadership has long worried about as they’ve sought to maintain “freedom of action” in Syria, according to prior statements by Prime Minister Benjamin Netanyahu.